Dr. Rheeman is a board-certified ophthalmologist who specializes in oculoplastic surgery as well as the medical and surgical treatment of neuro-ophthalmological conditions. Dr. Rheeman is a graduate of the University of California, San Diego. He completed medical school at Albany Medical College. Next, he went on to complete an internship at Loma Linda University Medical Center in California. Subsequently, he completed his residency followed by fellowship training in neuro-ophthalmology, oculoplastics and orbital surgery at Albany Medical College. 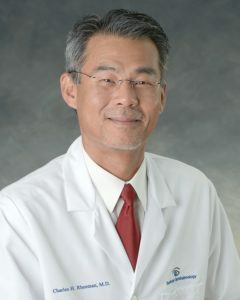 He is board-certified by the American Board of Ophthalmology and a member of the American Academy of Ophthalmology, the North American Neuro-Ophthalmological Society, and the New York State Ophthalmological Society. Dr. Rheeman specializes in reconstructive and cosmetic surgery for the eyelid (blepharoplasty, brow lift, droopy eyelids, eyelid malpositions, trauma, facial paralysis), eye muscles (double vision, lazy eye), and eye socket (orbital) surgery (decompression, excision of orbital tumors). In addition, he performs various non-surgical cosmetic procedures including injections with botulinum toxin.